Diving isn’t just a fun pastime. 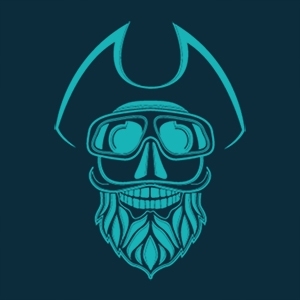 Any dive in natural conditions carries many dangers. And meeting with some types of jellyfish — is one of them. But what to do in this case, how to treat jellyfish burn? During our Friday dives, you can see many interesting underwater creatures, including jellyfish. 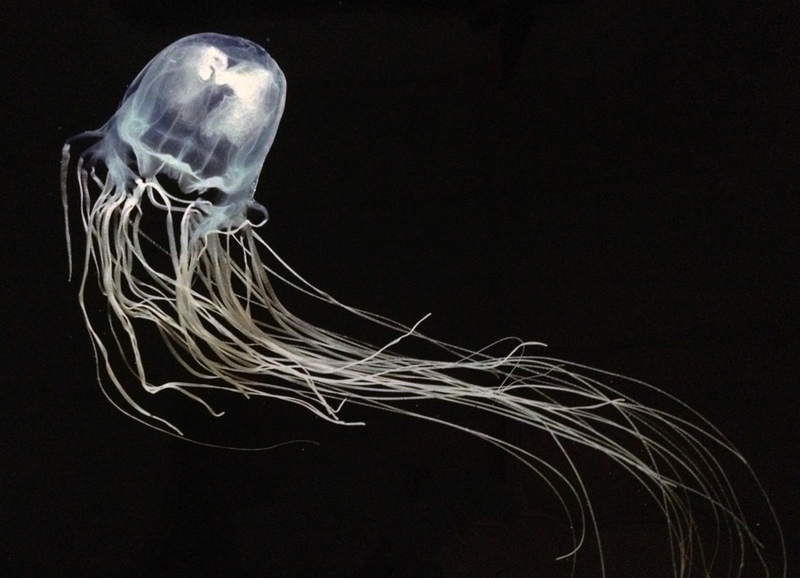 These amazingly beautiful translucent creatures inhabit many seas and invariably attract the attention of divers. 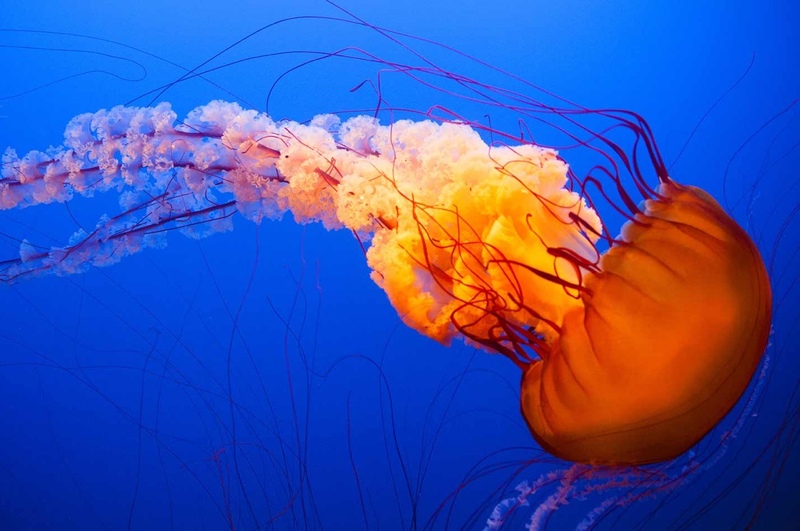 In the world there is a huge number of different types of jellyfish, a variety of colors and shapes. All of them stand out among other marine life, it’s difficult to confuse jellyfish with any other creature. But you should always remember — among the jellyfish there are many dangerous species, contact with which can lead to very unpleasant consequences and even death! Jellyfish are active predators, so they are always ready to attack and hunt. Jellyfish can have a variety of shapes and sizes, from very tiny to real giants. The level of danger doesn’t depend on the size of the creature at all. 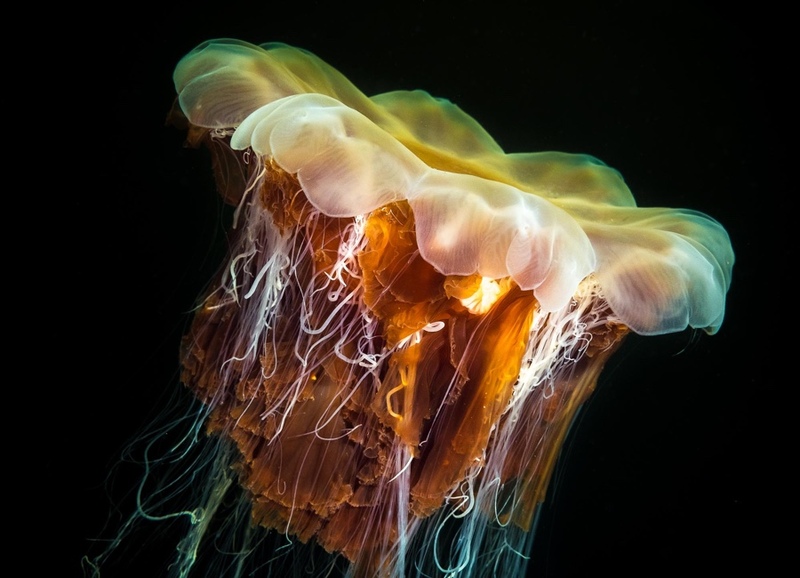 So, Lion’s Mane jellyfish (Cyanea capillata), which can be found in the northern parts of the Atlantic and Pacific Oceans, they can have a diameter of 2 meters and tentacles up to 10 meters long. For a man, this jellyfish is practically not dangerous, only in some cases touching the tentacles can cause allergies or rashes. And vice versa, tiny Irukandji jellyfish (Carukia barnesi) living near Australia with the size nearly 25 mm is extremely venomous and can cause death if timely medical care is not provided. There is also a lot of jellyfish with poison that is not lethal to humans but can cause very strong pain. Luckily we don’t have such species in UAE region, all creatures you can meet here are relatively harmless to humans. Before dive you must find information about types of jellyfish that are found in the region. Examine if they are dangerous and what could be the consequences of contacts. Don’t dive right after the storm. Even the easiest protection will prevent you from stinging jellyfish cells. And if you wear a wetsuit, they won’t be able to harm you. But this doesn’t mean that you can safely swim in the bloom of jellyfish wearing a wetsuit. After all, just a small area of open skin is enough to get a serious burn. The best thing you can do is watch these creatures from afar. – It is necessary to immediately get out of the water onto the shore and wash the burn site with sea water. Don’t use for washing fresh water! The fact is that stinging cells remain on the skin, and fresh water can cause an additional emission of poison. Sea water, on the contrary, will help cleanse the skin of the remaining stinging cells. – Don’t lubricate the burn with any oil, cream or antiseptic! Alcohol is also prohibited for drinking or washing the burn. – In order to neutralize the poison of the jellyfish, it will be good to apply to the place of the burn a solution of vinegar or lemon juice. It’s the juice squeezed from a real lemon, not a drink containing lemon or ready-made lemon juice from the package. – Don’t touch the burn area. – If the pain is very strong you can take a painkiller. Don’t sit in the sun, you need to be in the shade and drink as much water as possible. – If you are prone to allergies, then you need to take appropriate medications. Warning. If symptoms such as breathing problems, chest pain, dizziness, or loss of consciousness have appeared after a burn, you should immediately get the injured person to a doctor! And it is important to remember that the reaction to a burn can be different for different people! So, if one has only redness, then another may have a strong allergic reaction, and burn marks may remain for several years.